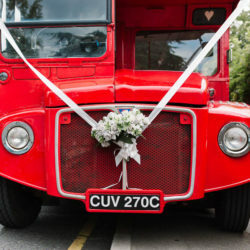 Did you miss yesterday’s unmissable vintage tea party wedding blog? 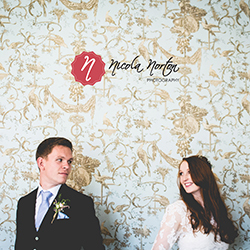 Noooo… quickly, off you go and catch up right here: Laura and David’s Oriental vintage tea party wedding. 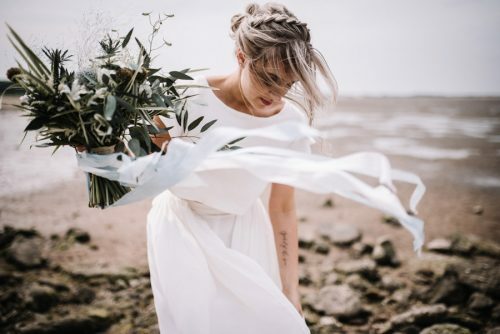 Then come back because I’ve saved some extra images from the very lovely Hayley Ruth Photography to help show you how to get the same rustic vintage look for your own big day. 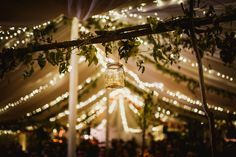 Laura and David hired a marquee for their big day but I think this look would work just as beautifully with a teepee or a barn wedding venue, don’t you? 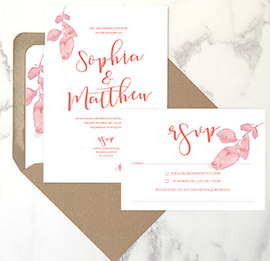 Here are the key pieces and projects which tied their gorgeous wedding style together. Hope you like! 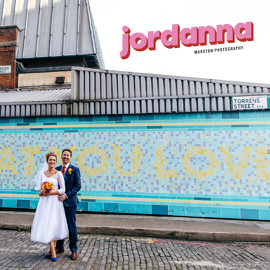 Laura and David are amazing – a gorgeous couple who poured their hearts and souls into crafting a unique, creative and inspiring wedding. 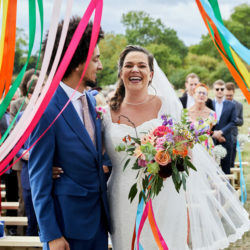 They made paper fans as alternative bunting hung all the way across the roof of their wedding marquee, which was decorated with corn dollies, lavender, vintage china… it looks amazing. 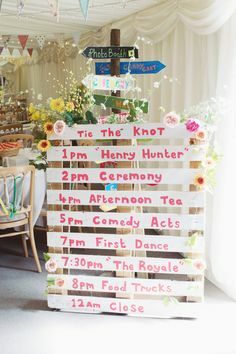 The table plan is an ornate vintage frame; the guest book is adorably vintage and surrounded by family wedding photos. 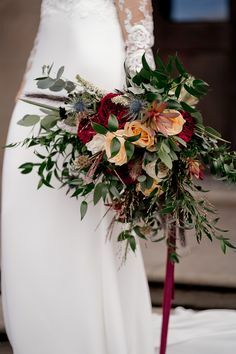 Their overall look is beautifully rustic and lovely wedding photographer Hayley Ruth sent me so many detail images I’m coming back tomorrow morning with a second, bonus, Get The Look blog feature! 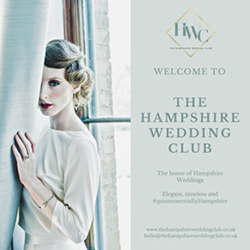 Laura has written an outstanding wedding report to share with us all, and it’s full of great advice, tips and stories for other brides and grooms as well as recommended wedding suppliers around Cambridgeshire. Oh and I love the story of how she and David met: on their first date after work they found themselves shaking hands on a spontaneous agreement to travel to Australia. 3 months later they went to Sydney together, and 7 years down the line they were married. 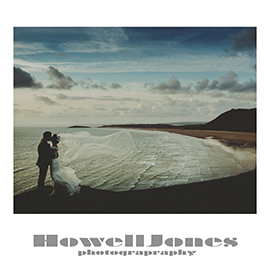 And I’ve got all the images of their wedding to show you! Yay! 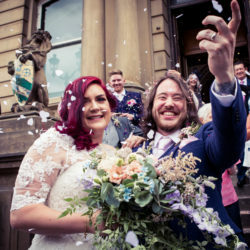 Huge congratulations to a gorgeous couple, and big thanks to Laura and David, and to wedding photographer Hayley Ruth for submitting the images. Everyone – enjoy! Morning beautiful 🙂 How are you today? 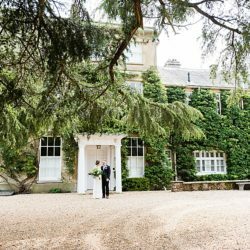 I have another gorgeous wedding to share with you today, this time from the Dorset countryside and an adorable-looking wedding venue called Kingston Country Courtyard. 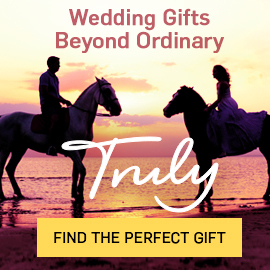 If you’re having a barn wedding you will love this! 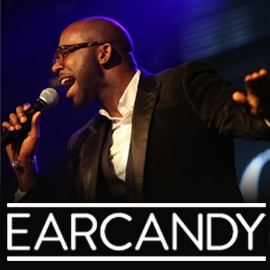 Kingston has an 18th century stone barn with a bar attached… it sounds pretty perfect and looks amazing! Rebecca is gorgeous in a silhouette lace wedding dress by La Sposa, and Andy looks great in a navy suit from Austin Reed. Oh, and the bridesmaids are as lovely as they are smiley… three ridiculously pretty girls in the lightest sage green dresses. 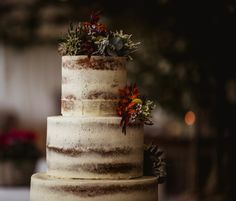 I hope you’ll get lots of ideas from today’s real wedding with rustic flowers, handmade bunting, a DIY Dad’s amazing cake stand and a delicious-looking naked cake with strawberries… you will LOVE this! 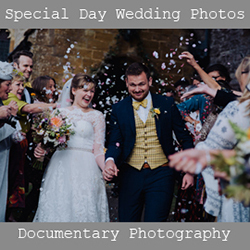 Thanks to lovely Dorset wedding photographer Paul Underhill for sharing images of the day, and to the gorgeous bride and groom for such a fab wedding report. Everyone – enjoy! 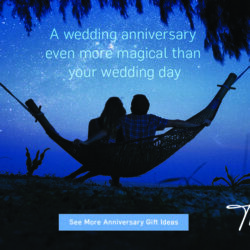 The best wedding blogs of the year so far! 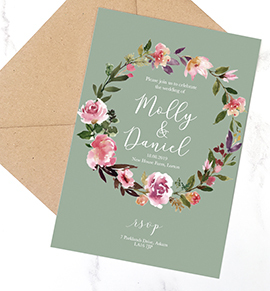 Ever wonder what wedding blogs wedding bloggers read? (Sorry if the answer’s no and I’ve twisted your brain with that bizarrely phrased question.) 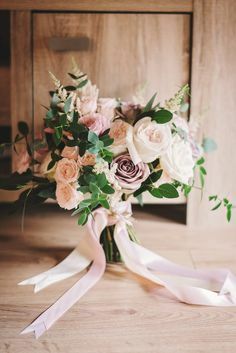 I read a lot of wedding blogs and love reading about unique weddings, discovering new ideas and enjoying great wedding photography. 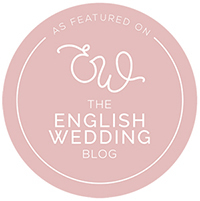 Guessing that you like all the same things as I do* I try and share my favourite wedding blogs in a weekly or fortnightly round up… although it’s been a while! 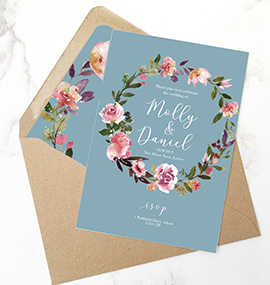 Here are my favourite real weddings, creative ideas and things to buy, advice articles and Pinterest boards for you from the last few weeks’ reading. Enjoy! Morning everyone! I’m back to old habits… wedding cake for breakfast again, damn! Hehe… I wish. 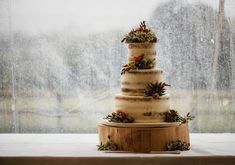 Although something tells me I’ll be craving cake later today, having spent the last half hour devouring Caroline’s gorgeous wedding cakes with my eyes while my tummy rumbles pathetically at me! Seriously though, you need to see these. Pure elegance: Caroline’s White and ivory brush embroidery wedding cake is intricately crafted and looks chic, classy and delicious. This ombre wedding cake with perfectly arranged little flowers is exquisite! 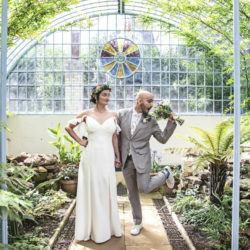 Gorgeous bride Jenna and new hubby Oliver took on a mammoth task when they bought a beautiful country home, renovated it and then held their wedding in the garden just 5 months later! 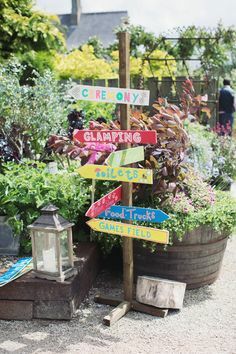 But what a glorious way to celebrate a marriage… their English country garden wedding is so charming and has tons of inspiring little homemade touches from friends and family. Jenna and her mother in law created miles of homemade bunting from vintage fabrics sourced from charity shops – a wonderful use for all those preloved old curtains and bedspreads 🙂 as well as recruiting the entire family to collect vintage crockery from charity shops and car boots, on which a delicious afternoon tea was served! 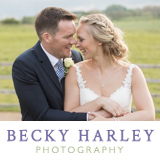 Images are by the very lovely Beth Moseley Photography, and you can read the full wedding report at the end of the feature below. I hope you love it as much as I do! 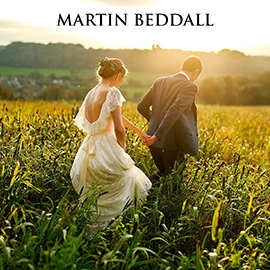 The Case of the Curious Bride opened in April 2013 and aims to provide stylish and quirky dresses with a vintage edge. 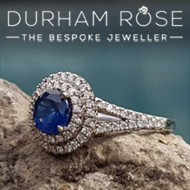 Owner Melanie dreamed of creating a quirky boutique selling reasonably priced wedding dresses with real style. 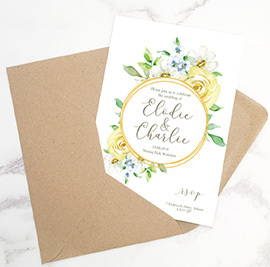 Brides who bought her bespoke head wear at Ivory Tuesday were also looking for unique and affordable vintage-inspired dresses, so The Case of the Curious Bride was born! 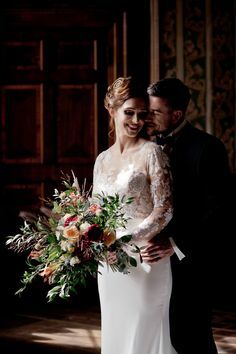 This bridal shoot from Cheshire’s Arley Hall features stunning wedding dresses and accessories from The Case of the Curious Bride. Dresses are by Erica Stacey and The Case of the Curious Bride. Accessories are by the wonderful Ivory Tuesday. 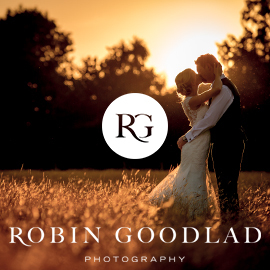 Four fab wedding photographers were involved in the shoot: the lovely Martin Hambleton, Andrew Billington, David Stubbs and Johnboy Wilson, all wedding photographers in the north west. 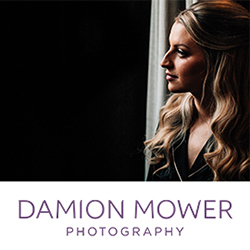 Please do have a look at their work if you’re looking for a UK wedding photographer. Hey again lovely! Don’t you just wish these cold mornings would go away and we could all wake to rays of sunshine peeping through our windows? 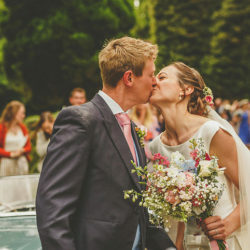 I’m heading off on a little road trip across the Lake District this morning but had to share this gorgeous wedding blog with you before I leave! 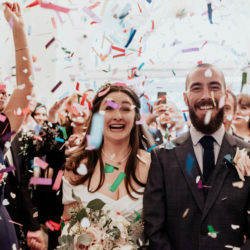 Gorgeous Hayley and David were married in Scotland at Hoscote House, and created their own tartan to style their day as well as roping in family and friends to help out. 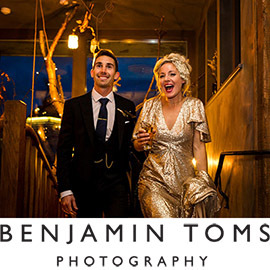 Their wedding is beautiful, personal and full of character – and their smiles are as good as those rays of sunshine we’re all missing right now! 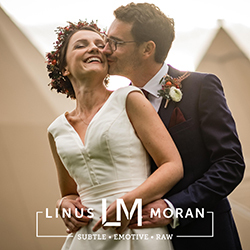 So relax, grab a cuppa, sit back and enjoy this gorgeous wedding blog courtesy of my extremely talented friends Peter and Sara, wedding photographers at Pixies in the Cellar. I love how today’s beautiful bride Claire describes her wedding, don’t you? 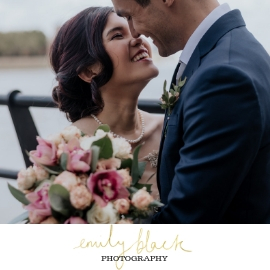 She and Martin were married at The Hillbark Hotel on the Wirral, and chose lovely Jamie from Vickerstaff Photography as their wedding photographer. 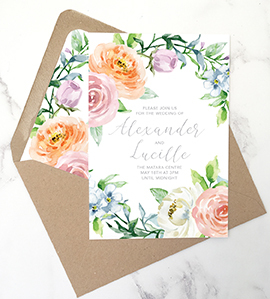 The images are wonderful and I’ve been so excited to share the wedding with you! What better way could there possibly be to begin the week?! The gypsophila (baby’s breath) bouquets and the bridesmaids’ flower crowns are lovely. Claire’s dress is stunning, and together she and Martin make a gorgeous couple. The venue is magnificent, dating back to 1891 and with that classic old English black and white Victorian front… oh! and can you believe they moved this wedding venue in 1930? All of it, brick by brick. Why? Because the owner’s wife wanted it in a different place! Now that’s devotion for you! Ever wondered why we wear crowns, accessories and tiaras at weddings? Do you dream of wearing a designer hair accessory for your wedding? Something with vintage-inspired jewellery, maybe… or perhaps you’re wondering if you’re brave enough for a flower crown or art deco diamantes across your forehead. 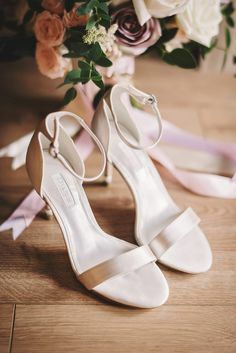 I’d love to wear some of the vintage accessories I see in my virtual travels as a wedding blogger, but I’m not sure I’d know where to start! Designer Samantha Walden is here to help with a look at the history behind bridal hair accessories, and some tips on choosing the right style for your favourite era. Enjoy! 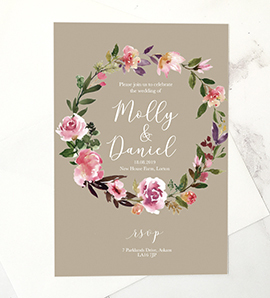 Gorgeous calligraphy with exclusive savings for English Wedding Blog readers! 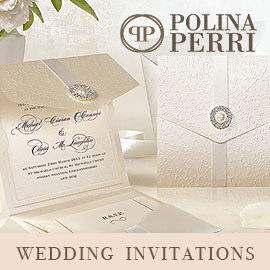 Do you love papery bits and pieces? 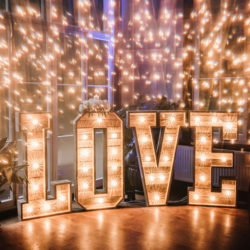 Are you searching for something really special for your wedding day, a creative statement or something really on trend and exciting your guests will remember? Perhaps I can help! 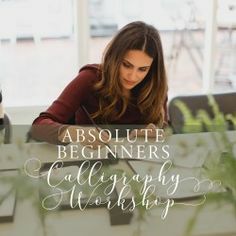 As many of you will know I’m a calligrapher as well as a wedding blogger, and combining the two makes me ridiculously happy! 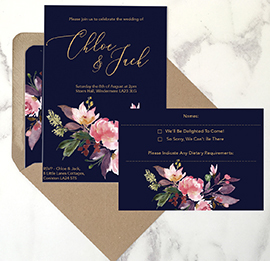 I love coming up with new projects and ideas for wedding calligraphy, and constantly update my Etsy shop with new calligraphy bits and bobs for weddings. 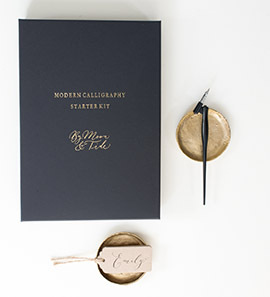 2014 will be the year of the calligraphy menu and I’ll be sharing some new menu designs on my calligraphy website very soon – but in the meantime I’d like to offer all you lovely English Wedding Blog readers a 10% saving on calligraphy for your 2014 weddings.